There's no shame in being a little overwhelmed by them: ID card printers are complicated pieces of machinery. 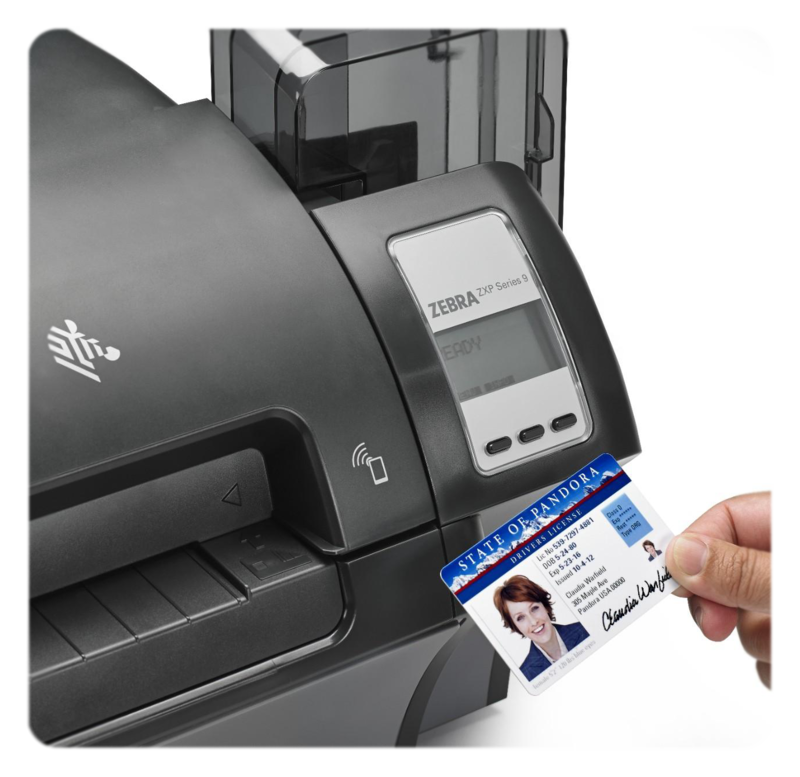 Even the most basic printers contain dozens of moving parts, all of which need to perform perfectly in order for the end result to be a nice, professional student ID card, employee badge or other credential. Troubleshooting issues is a fact of life with any kind of machine, whether it's a printer, a blender or a $100,000 sports car. And while we all do the best we can to keep our machines running like new, even well-maintained machines are going to run into trouble at some point. 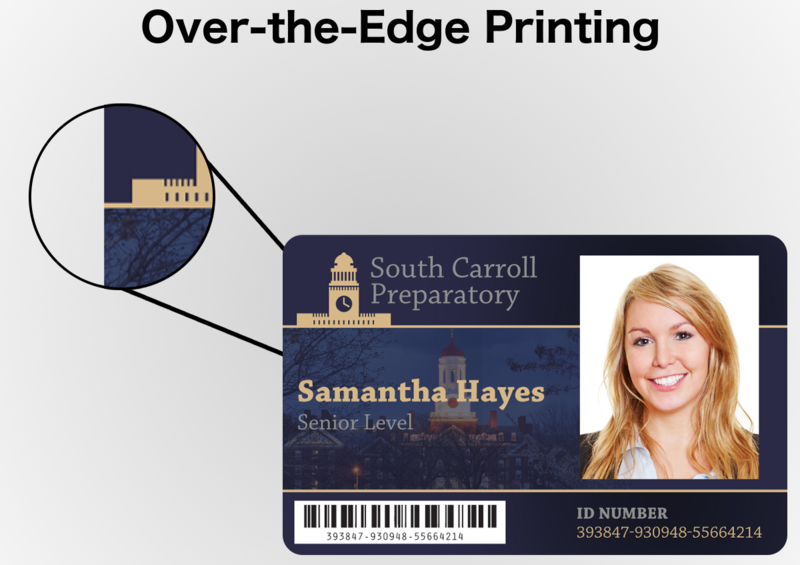 In early May, we published a post on how schools should prepare for next year's student ID badging job, but one of the tips in that post can be applied to any big badging operation: test your ID card printer frequently. When you test your ID card printer, the ideal result is that you don't encounter anything out of the ordinary: you design a test card, send it to the printer and it comes out great. Perfect! Time for lunch. However, chances are that somewhere along the line, your card isn't going to come out looking perfect. The print will be off, you'll see a smudge or there will be some other issue. 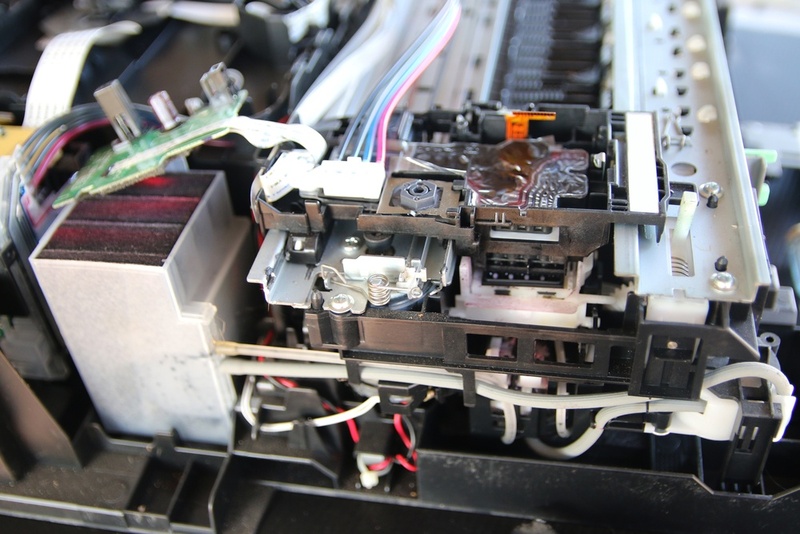 Don't worry: these are common issues that every printer owner is going to encounter at some point, and there are quick ways to identify and solve the problem. Printer Ribbons: What does YMCKO mean? PVC. DTC. ID. RFID. CR80. With all of these letters and numbers, product titles and descriptions can sometimes look more like alphabet soup than actual sentences. Many of the acronyms are fairly intuitive. Everyone knows what "ID" is, and "CR80" is pretty easy to understand once you read about it the first time. However, one of the more common ID acronyms is a bit more difficult to fully understand: YMCKO. No, YMCKO (unfortunately) isn't a new and improved version of the YMCA. Sorry, Village People! 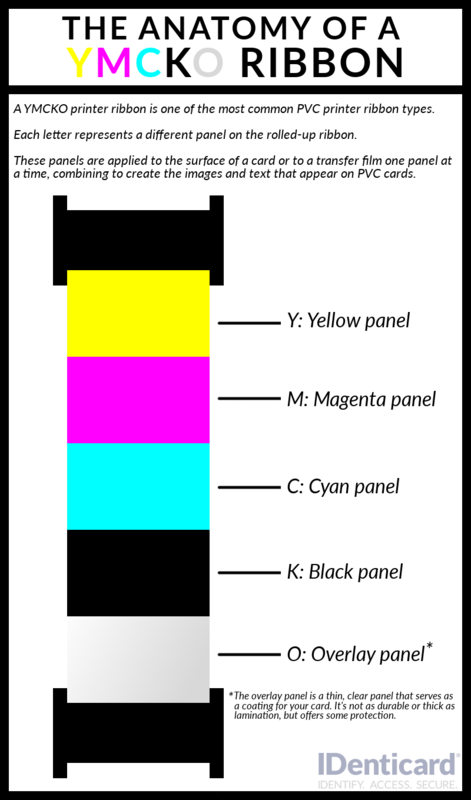 Instead, YMCKO is an abbreviation used to describe the color panels contained in a PVC printer ribbon. It's fun to print with a Y-M-C-K-O! Why Should You Laminate Your ID Cards? 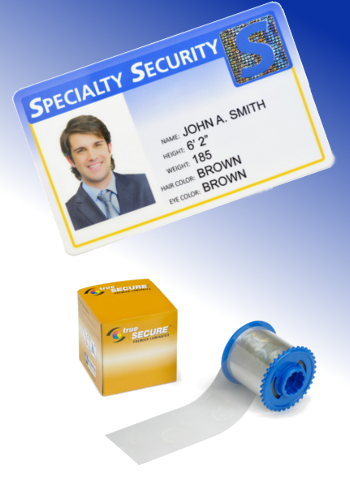 Choosing between laminated ID cards and standard ID cards is one of the first decisions you must make when selecting new card stock for an ID program. Initially, many people see the higher cost of a lamination-enabled card printer or see the burden of buying a laminating machine with pouches and are put off by the idea of lamination. "We'll just be careful with the cards," they think. 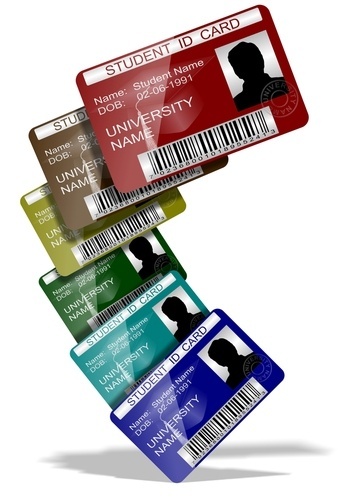 However, laminating your ID cards offers a number of benefits to both your ID program and your organization as a whole. Some are obvious. Some are a little more obscure. But all three will have your organization wondering why it didn't make the switch to laminated cards sooner. Lets's be honest: service plans have a bad reputation, and it's not really fair. Service plans or support contracts are often viewed as unnecessary throw-ins, added on at the end of a transaction by a greedy salesperson who's looking to pad his or her bottom line. "Say, would you like to add a two-year contract to that blender for only $44.99? It covers everything!" As a society obsessed with gadgets and the latest technologies, service plans have become ubiquitous, and with that ubiquity has come a level of annoyance: "no, I don't want that, just ring me up so I can go home." However, there's a level of investment where the burden of the additional cost associated with a service plan is outweighed by the benefits and peace of mind that service plan provides. 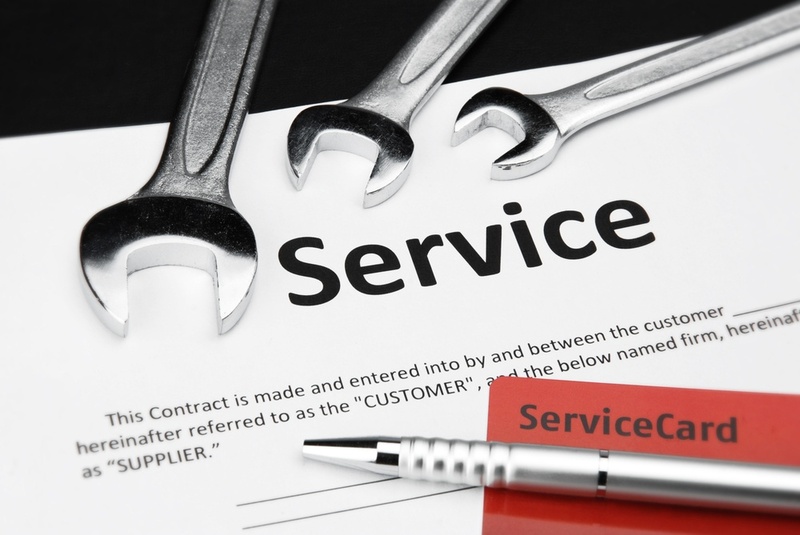 Cars, home appliances and large machinery are common items where a service plan or extended warranty just makes sense: you paid so much for the thing that you want to make sure it's not going to die after a few months. A school probably isn't investing in a new six-burner range any time soon, but many schools do make an investment in a valuable piece of machinery that could benefit from a service plan: an ID card printer. The weather is getting warmer and the remnants of winter have slowly melted away. Spring is here! And with the arrival of spring, the eyes of students, teachers and administrators can't help but wander toward what comes after spring: summer, and with it weeks of freedom. However, while we think spring is great and we love summer, we can't let you forget what's coming after summer: another school year. But spring is usually school budgeting season, that oh-so-fun time of year where schools need to plan their expenses for the upcoming school year. This is commonly referred to as school buying season, as it's when schools begin either budgeting for or making purchases with an eye toward the coming school year. Part of that budgeting process should involve assessing your ID badging needs, as a new school year brings new students, and new students require new badges. If you're going to need new card stock, new supplies or a new printer, now is the time to get it in your budget. However, chances are your various ID needs got lost in the craziness of another school year. With that in mind, we've got three things you can to to take stock of your current ID situation and make sure you make the most of this school buying season.